Ursula Murray Husted – UW-Stout’s director of entertainment design – recently received a Museum of Comics and Cartoon Arts (MoCCA) Festival Award of Excellence from the Society of Illustrators for her graphic novel The Lions of Valletta. The book, written and illustrated by Husted, won the silver medal in the Long Form competition of the MoCCA Festival, which took place in New York this spring. As the largest independent comics, cartoon, and animation festival in Manhattan – drawing in a crowd of 7,000 and featuring 400 artists – this MoCCA recognition is no small feat. 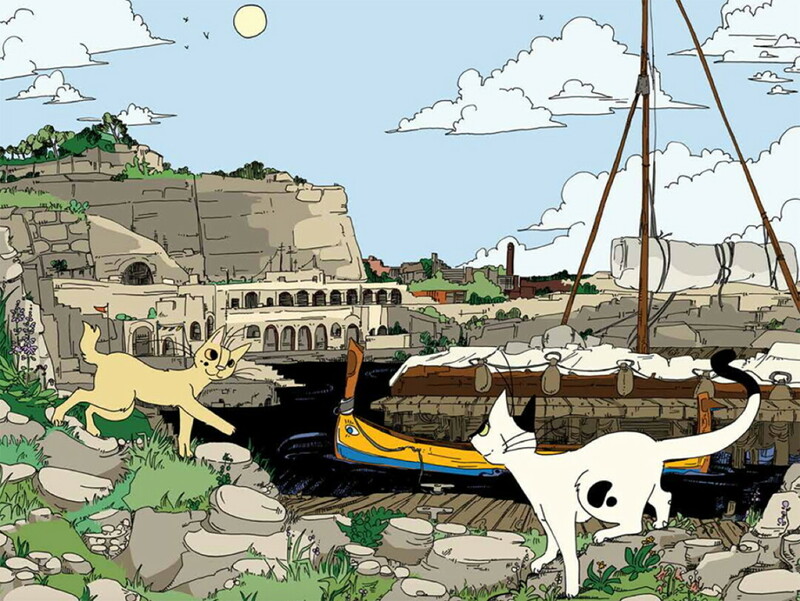 The Lions of Valletta is set in Malta and follows two cats as they attempt to discover the meaning of life through the exploration of art, art history, architecture, and fish heads. It was inspired by a trip Husted took to Malta with her father after he was treated for cancer. Malta’s beauty and its plethora of cats, particularly those who “looked at people, judged them, and moved on” are what stimulated her imagination. “I’m tremendously flattered,” Husted said of the award. “As a comic artist, it has been my genuine honor to have my work seen and valued by the society.” Husted’s interest in comics arose in childhood and culminated when she was a teenager. Her love for comics remains steady in adulthood, and Husted is thankful for the opportunity to continue creating comics of her own while teaching them at UW-Stout. The Lions of Valletta can be purchased for $20 at winterprairiepress.com.